With EZLynx Email Campaigns, you can build well-defined geographic, demographic and line of business specific recipient reports from your EZLynx data then send very specific marketing messages for pennies per recipient. This tutorial is intended for all users at an agency, and outlines the setup tasks every user must complete before using this product. Automation Center will help you increase the productivity of your agency by automating task creation and client communications based on certain policy events, such as new policy downloads, cancellations, and changes. Click here for more information about EZLynx Automation Center. With EZLynx Postal Mail, select any ACORD form(s) or other PDFs from your applicant’s Documents tab in EZLynx and have those documents printed and mailed to the applicant with a few simple clicks. Automation Center allows you to create rules to complete repetitive tasks when certain events take place. Tasks include sending an email, creating a note/task or closing a Sales Center opportunity. Read the document to find out more. After installing EZLynx for Outlook, there are some setting that you can manage. To Access Settings: Go to the bottom of the EZLynx for Outlook toolbar, and click the double arrow icon “<<”. Then click the Settings (gear) icon. Options: You can disable the automatic prompting to save every non-matching incoming or outgoing email. With this option, the system only prompts to save the incoming or outgoing emails that match existing EZLynx accounts. 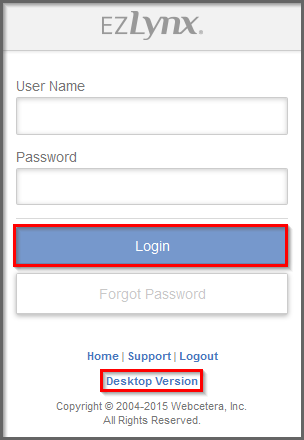 EZLynx Account Settings : The username and password here must match your EZLynx account. When you click an incoming email, EZLynx for Outlook starts to search for any matching applicants. You will see the applicant’s name listed in the toolbar on the right if a match has been found. Save an email to the applicant’s Activity page by clicking “Save Activity“. If EZLynx for Outlook is unable to match the email to an existing applicant, a “No matching applicants found” message appears. 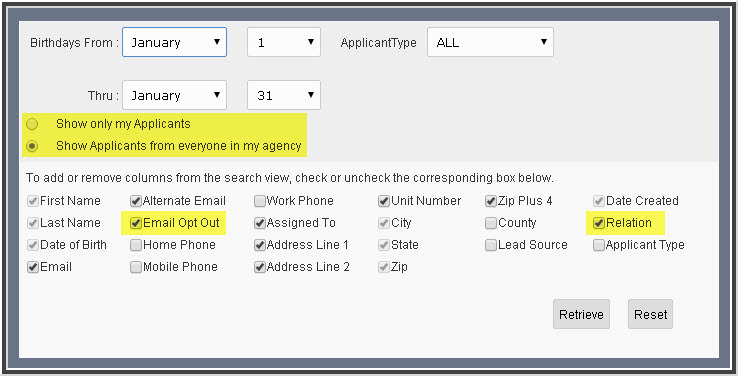 Click “Search” to locate an existing applicant that is missing the email address or if the email came from someone else, like a carrier underwriter. Click the Refresh button to search for an applicant again. Update the applicant’s email address to the sender’s address. Include all attachments OR pick-an-choose which attachments to save. Associate the email with a specific policy. Add the email to an existing discussion. 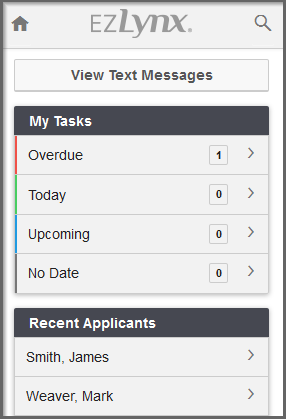 Create a task from the email. When finished, click Save Activity. If the email address is associated with multiple accounts, click the double arrow icon. Now toggle between possible matching applicants to locate the correct account. For more information, see the EZLynx for Outlook Guide. Looking at Lead Generators? See Which Can Integrate with Your EZLynx Account! EZLynx partners with several lead generating companies so that you can have leads sent directly to your EZLynx account – which eliminates having to manually enter these leads as new applicants. To setup direct integration and start saving valuable time, go to: I Just Signed up with a Lead Generator. How Do the Leads Get into My EZLynx Account? Birthday reports provide a list of applicant and co-applicant birth dates used to connect with customers on their special day – either via email or regular mail. Hover over the Reports icon. If you do not have a Reports icon, contact your Agency Admin for setup. From Standard Reports, select Applicant. Give special attention to the fields highlighted in the screen shot below. Use the radio dials on the left to retrieve birthdays for only your own applicants, or applicants assigned to everyone in your agency. Use the check-boxes at the bottom of the page to pick-and-choose which information will be included in the report; for example email and/or physical addresses. If you are planning to use the report to send emails, be sure to check the Email Opt Out box. Do not email anyone on the report whose opt out field is YES. To include co-applicant birthdays, check the “Relation” box. Once the report is retrieved, it can be exported to Excel for sorting purposes. Export button is at upper right of screen. With EZLynx Mobile you can access EZLynx.com on your iPhone or Android device. 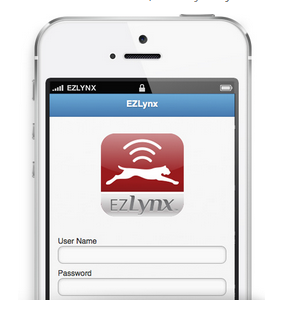 EZLynx Mobile allows you to quickly search for customer data on the go. Quoting is not available at this time. Getting started is incredibly easy. Can my customers get live quotes from my agency’s website? EZLynx Consumer Quoting allows agents to offer live quoting or simply gather consumer information directly from your agency’s website. With EZLynx Consumer Quoting your visitors will receive a real time quote. Contact [email protected] or your EZLynx Sales Rep for more information.